Speculative Faith | For Writers: How Important Are Book Covers? For Writers: How Important Are Book Covers? Soon-to-be-published author Robert Treskillard advises aspiring authors on how book covers may make the sell to agents and publishers. Last week, for the very first time, I stopped in at the Dollar General store in the little town north of us and made a purchase. The strange thing is that I’ve driven by this store thousands of times and never been tempted to stop, much less buy anything. What made the difference? Oops, not its book cover … silly me! I meant to say its store front. They’d built a spank-worthy, new building and moved across the street. The new building looked really nice, what with its beautiful sign, black-paved parking lot, and green and groomed landscaping. The old store was about as shabby as you could get, with a dumpy 1960’s architecture, dirty windows, and weather-beaten sign. Were the products inside the store the same? You bet … they just moved them across the street. Were the owners and workers the same? Probably so. And the whole episode bugged me a bit. Why had I never stopped in before? What stupidity had blinded me? They had a nice selection of products, including the carburetor cleaner I was looking for. The truth is that the sullied outside made me think that, somehow, the products inside the store matched it — mildewed, grimy, and out-of-date. Why would I want to go there? Let’s be honest — unless you’re in the agony of self-publishing or the angst of being published, the book cover for your novel is not something you’ve thought about. It’s all about the stuff inside, you say, and that your writing is what will sell your novel. Granted. But let me share a little perspective from my own path to publication which culminated in a signed contract with Zondervan last month. The writing is critical. Without it, you won’t get published. The acquisitions editor must love your writing in order to convince the editorial board, and then convince the publication board, etc. But how do you get your book in front of the acquisitions editor? “Not with a nice book cover,” you scream at me! And you’d be right. What you need is an agent, and how do you get an agent? By convincing him or her that they can sell your novel to a publisher. Will a book cover help convince your agent? Absolutely not. They have a higher chance of selling your book to a publisher. Most agents are swamped and don’t have a lot of time to read your sample chapters, much less your whole book. Endorsements from published authors not only impress them that you have connections in the industry, but that you’ve taken the time to prepare properly before contacting them. And both of these mean that you’re a serious writer on the path to publication. Think of your endorsements as your “book cover” to your agent. And the agent can use these to impress an acquisitions editor. Aha! So how do you get endorsements? By enticing a few published authors to read your great writing. Is it easy to get people to read a novel by an unknown author? From my experience, it’s very, very, very difficult. Not only does no one have the time (hey, I’m super-busy, too! ), but no one wants to wade through a huge word document full of spelling and grammar errors on their computer. Which means the odds are against you. So what do you do? What did I do? First of all, I edited my novel as excellently as I could. I got my wife to edit it (she’s awesome), and a few kindly friends. Then I printed the novel up in both hardcover and paperback to give away just for the purpose of seeking endorsements. In short, nothing speaks the word “serious” to a published author more than a real, nice-looking, printed novel to heft in their hallowed hands. Now, a word of caution here. If you want to improve your chances of being published, you must never offer your novel for sale. A publisher wants first publication rights. I know this is changing a bit with the rise of self-publishing, but be careful. If you self-publish, you will need to sell a LOT of copies to impress a publisher, and that is an entirely different path than what I’m talking about here. For me, I made sure that the front matter of my printed novel said that it this edition was “unpublished” and “not for sale”. I had blog readers ask if they could buy a copy, and I turned them down. Then I offered free copies to published authors that I had built a relationship with. If I could, I made sure to do so in person. This takes a lot of time, effort, and money. To only a couple of authors did I send the book cold turkey, and that by hand through a mutual friend. I also included a personal letter to the author letting them know that I knew how busy they were and that there was no pressure on them to read it. If the book enticed them, then great. Note … if you don’t have a real relationship with the author whom you’re offering the book to, expect to be rejected. Does it take time to build these relationships? Yes, and that time can often be measured in years. Won’t this all cost some money? Yes, it might cost some money. Certainly it will cost you some effort. How serious are you about getting endorsements and getting published? Can’t I get endorsements without going to all this trouble? I just found it the easiest, most impressive way to get published authors to take my book seriously. Won’t the effort be lost if I can’t snag an agent and harpoon a publisher? No. You can use your book cover to self-publish. And if you do get endorsements, you can use those on the back cover of your self-published book. If I find a publisher, won’t they throw away what I’ve done and create their own book cover? If you find a publisher, the loss of your cover will mean very little. That is the goal, right? If the cover is good enough, the publisher might take it and modify it. If they throw out your cover, you’ll want their expertise to create something better. Why not give out my novel in a digital format to published authors? Then I don’t need a cover. No doubt some will prefer to read your novel on their tablet. Even so, there is no getting around the fact that a real, physical novel placed in someone’s hands just begs to be read. For me, out of site is out of mind, and a digital book is definitely that — out of sight and easily forgotten. Keep in mind that some will prefer a physical novel. Would a nice digital cover hurt your cause? Is this approach the only way to get published? This is just one of the many things that I found helpful in my own journey. Honestly, we all know speculative fiction has a hard time being picked up in the Christian book industry, and that has more to do with the demographics of who walks into a Christian bookstore than the quality of the writing. This means we need every advantage we can muster. And if one of the best ways to get endorsements is to package our novels professionally, then it is something you should consider. But at least you can know this—the time you spend putting together a decent book cover will pay off one way or the other. And those endorsements? They can also be used to get a smaller publisher interested that doesn’t require an agent. Was I turned down by published authors? You bet. But a few read the novel… and really liked it… and wrote up endorsements. That’s how, honestly, I impressed my agent. 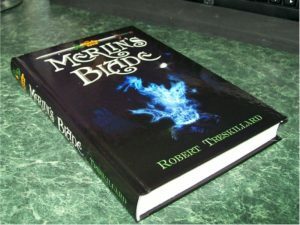 That’s one of the ways my agent impressed my publisher, and so here I am with MERLIN’S BLADE, book 1 of The Merlin Spiral, set to debut in February of 2013. All because of my shiny, new store front… oops, I mean book cover. Thank you very much for this article. New advice, new information–yippee! I hope to be published eventually, and this will be helpful if I decide to go the traditional route. Your welcome! And I agree that cover art can help sell a novel. I’m waiting to see what Zondervan comes up with… I know they have their gears turning even now. I’ve noticed this even with the free Kindle E-books I pick up. The generic “classic cover” isn’t too great, but it’s better than a blank space. I know I sure judge ebooks by their covers. Sometimes a mediocre story will have a great cover, but it got me to crack the pages for a look inside. Mediocre covers turn me off bigtime. I’m an artist and art snob. I know how much good art runs, but I also happen to know that digital editing of photos isn’t that hard. There’s lots of starving kids out there with Digital Design degrees who’d love to make a few bucks designing something for you. There’s lots of starving kids out there with Digital Design degrees who’d love to make a few bucks designing something for you. I agree with everything you said about the importance of building relationships with other authors. Getting an endorsement from them can make all the difference in a prospective editor’s/agent’s eyes. True story: When I was trying to get author endorsements for my first novel, a sci-fi story akin to Independence Day, I hit upon the idea of sending a copy to Scott Carpenter, one of the original Mercury astronauts. I figured if I managed to get his endorsement, that would carry a tremendous amount of weight. I managed to track down his e-mail address, and sent him a very cordial e-mail, asking him if he’d be interested in reading my novel. To my surprise, his daughter responded to my query, and thought this would be a story he’d like. So I sent her a copy. A number of months later I finally got a response from her. Her father was too busy with speaking engagements to read the book, but she read it herself. She wrote me a very nice endorsement, which I included with the book when it came out. I figured the daughter of a famous astronaut was better than nothing. Nissa—take Kessie’s advice and see if you can find an artist who needs some credits and cool art in their portfolio. And like you said, that “subconscious” thing is pretty powerful. I know when I held my own printed novel in my hands it made it all so much more real. 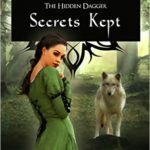 I’d been writing for four years and it was all ethereal “in the computer”, so that was a big step for me, too, as I knew then and there that I had a real book… and it gave me a stronger vision to find a publisher. Galadriel and Kessie—I agree that even digital books need a cover, and that the cover can help sell the novel. Just like that store… even if we shouldn’t think that way, its amazing how the cover can affect what people think about the contents. Mike—that’s a cool story, and a great endorsement to get. I’ve made a few “really cold” requests for endorsements, too, and always hit a brick wall, so that’s an encouragement to me and everyone else—give it a try, you never know!